Is Pet Insurance a Smart Idea to Cover the Vet Bills? Buying pet insurance is a personal decision that should be based on your financial situation. When we talk about pets, we are not just talking about animals; any pet owner knows that we are talking about family members. Having pet insurance can help during difficult financial times if emergencies come up for your dog or cat. If you adopt a pet or rescue animal it is likely they may have medical problems you are not aware of. The first year is often the hardest to predict. Vet and Other Expenses - Can Pet Insurance Help? Many pet owners (or "pet parents') struggle when they first adopt or buy a family pet, because the costs of getting the vaccinations up to date and the medical requirements in the first year can be costly. Add to that all the toys and additional items you need to buy to make your new family member feel at home, and things start to become expensive. Once you have completed all the required medical visits, vaccinations, and treatments, new owners often feel overwhelmed by the cost and don't want to pay the price for pet insurance. However, it is worth considering that it could be in the first year that you have a pet that they run into trouble, or unexpected medical conditions arise. Could you come up with $1000 to $5000 in an emergency? Do you want insurance to only cover emergencies? Do you want an insurance plan that will not only cover accidents, but also illness? Do you want to pay extra to get a plan that not only covers accidents and illness, but that also covers regular maintenance, like vaccines, neuter and spading, or other standard vet visits? This is sometimes referred to as a wellness plan. Do you want access to a helpline if you need to ask questions? Access to pet information helplines are extremely valuable and can save you a lot of money. Is it easier for you to pay a regularly scheduled small amount (the monthly cost of health insurance) rather than come up with a few hundred dollars in an emergency? Will the cost of pet insurance exceed how much you might actually spend on incidents? This is more important when you opt in on a wellness plan. Add the cost of the insurance, and compare that to the cost of all the vaccinations and procedures on the list of covered items. Often at the end of a comparison, you end up realizing that you are just financing the health care. This can be useful for some people, but in other cases, you may pay a bit more for the coverage than if you saved the money and budgeted it yourself. This really depends on you. Some insurance policies offer all of the above, or only parts, the prices will vary accordingly. When you get a quote make sure to ask questions about restrictions before your purchase. Pet insurance is an extremely valuable resource, and if you choose wisely, it could not only ensure the safety of your dog or your cat but it can also ensure that you never have to make a choice between money and your pet's life because you can't afford the care. If the cost of pet insurance is a concern to you, consider how concerning an unexpected $500 bill to the emergency veterinarian can be, or the cost of surgery. Pets get injured and get into trouble all the time, and despite what many people think, it is not just the older pets who run into trouble. Packages for pet insurance can be tailored to your specific needs. You can choose packages with everything, or only with the parts you want. Wellness Coverage - takes care of expected costs and can be tailored to the coverages you would like. Pet help hotlines or telephone support access. When you don't know if you should go to the vet or need poison control info. Ready to research what the good pet insurance providers are offering? When looking to purchase a pet insurance policy, there are a few questions to consider what kind of pet insurance is best for you. What's the Cost of Pet Insurance? It is fairly easy to get quotes online for pet insurance in a few easy steps, especially if you're looking for a young pet. Your best bet is to do a few online quotes for pet insurance and compare. It could cost you $30 a month or $100 a month depending on various factors and what coverage you choose. If there is a waiting period. In the same way that your dental insurance may have a waiting period, pet health insurance plans sometimes have waiting periods as well. It's important to find out about this. What Other Options Do I Have to Protect the Health of My Pets? The best person to consult about resources to help you in a pet emergency is your vet. In addition to your vet, one of the services sometimes included with good pet insurance plans is telephone assistance. Even if you do not have pet insurance if you find yourself in a situation where you need emergency help, there is usually help available online through various call centers. These call centers often charge a per call fee, so overall, it is much better to choose a package from a pet insurance provider that includes this kind of service, than risk the per-call rate if you think you will be calling frequently. If you are stuck without insurance, do a google search and you will probably find a helpline in your area listed, one example is animal poison control call centers which can be helpful if your pet eats something like your shampoo or a plant in your garden and you aren't sure if its safe, one example is the Pet Poison Helpline, there are many others, including some that offer veterinary advice on the phone. These resources can be really helpful in an emergency. Consider that the cost of these helplines is often about $50 a call, so if you can get a plan that includes all this, pet insurance may be a good option. Are My Pets Insured Through My Home Insurance? Although some home, condo insurance, and renters insurance policies may include coverage for pets under the special limits in contents or “personal property” section of the policy, the coverage is usually limited to specified perils, and subject to exclusions. Accidents, illness, and injuries would not normally be something that the home insurance policy would cover. In fact, many home policies have exclusions regarding coverage of animals. As soon as you get a pet, you should call your insurance representative and ask them how your residential policy covers your pets and if they have any suggestions for additional coverage. Even though most companies do not offer help for pets, some insurance companies have come out with endorsements that offer services for pet owners. Aviva Canada is one example with their Family Bundle Choice Enhancements Endorsement, where they include unlimited access to expert animal health advice over the phone during business hours. Be sure and ask your home insurance representative if your insurance company offers any services or protections for your pets, you might be surprised at what may be available at a low cost! Before you buy pet insurance, after you have checked with your home insurance agent or broker, and done online searches, don't forget to check if you might be eligible for discounts through another membership association. For example, AAA offers discounts on pet insurance with Healthy Paws Pet Insurance, and Healthy Paws also offers discounts for AARP and Costco members. It is always worth checking if you can get added discounts through your member associations. One last place to help you out: you've heard of Obamacare and the ACA, well Pawbamacare is a site that provides an Obamacare inspired marketplace just for pet insurance in an effort to raise awareness about pet insurance. Check it out to compare quotes. When Should You Buy Pet Insurance? 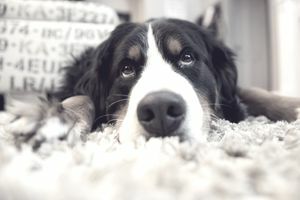 No one can answer if buying pet insurance is a necessity for you or not, however, if you think you would find yourself in a position where the cost of your pet's care would be impossible for you to come up with in an emergency, you should consider buying the protection until you are financially stable enough to finance emergencies yourself or take your chances.